Most people don’t want to spend their precision free time in cleaning work and rely on the services of different companies. We are one of the most successful cleaning agencies in Kensington W8 which offers all kinds of cleaning services, done in a fast and professional manner. You can benefit many things by using our services and save your time. Our cleaners are skilled and trained to do their work and achieve the results which every customer expects and even exceed them. Our cleaning staff will remove the dust, dirt and stains from all pieces of furniture, carpets, sofas and cooking appliances. They use the most advanced and powerful cleaning machines along with harmless for humans and pets cleaning preparations. No chemicals will be used in the cleaning process so, you can be sure that the products which we apply are completely safe for your family and pets. All of the cleaners who work for us have been vetted, trained and know the specifics of their work. You can expect top quality cleaning at low and affordable rates, done whenever you need it. 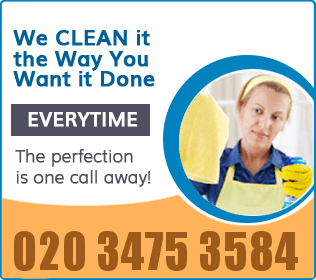 Our professional cleaning services are at your disposal in Kensington W8 every day in the week. Save yourself the efforts and time you would spend in scrubbing, polishing and cleaning work and let our qualified staff do it instead of you. They will ensure the perfectly clean and hygienic condition of your home, rented flat and working place at the most affordable rates. We listen to our customers and provide the work according to their demands. You can find our cleaners in W8 every day of the week, providing the cleaning services which our customers require. Use our customer care centre for more information and help.